Dooars also spelt as Duars is a place where nature has kept its doors open for the outsiders. Dooars derived its name from the word "doors" as this alluvial floodplain is known for being the gateway to the whole of North-Eastern India, Bhutan and the hill stations of Sikkim and North Bengal Region like Darjeeling. Blessed with dense natural forests, lush green tea gardens, criss-crossed by meandering river stream like Teesta, Raidak, Torsha, Jaldhaka, and Kaljani Dooars has become an abode for the nature lovers. Dooars is synonymous with the term Terai used in Nepal and northern India and form the only nitrate rich soil in India. 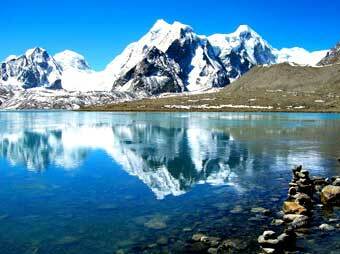 The altitude of Dooars area ranges between 90-1,750mt. 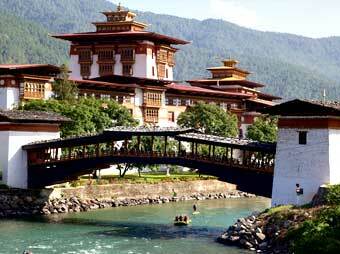 Many serene streams and shimmering rivers flow through these fertile plains from the mountainous valley of Bhutan. Dooars is divided by the Sankosh River into the two parts known as Eastern and the Western Dooars which consists of an area of 8,800 km² (3,400 sq. mi). The Western Dooars is named as the "Bengal Dooars" and the Eastern Dooars as the "Assam Dooars". Brahmaputra and Manas are the major rivers in Assam and Teesta in the northern West Bengal. 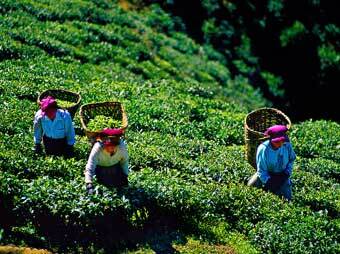 The beauty of Dooars not only lies in its lush tea gardens but also in the dense forest that covers most of its region. Dooars is dotted by several national parks and wildlife sanctuaries which attract a lot of tourists from all over India and abroad, making it an important contributor to the economy and also employer of a number of people. Dooars also act as the doorway to Bhutan thus, the export-import industry also flourishes in the area. The towns of Jaigaon, Siliguri and Phuentsholing are important hubs of the export-import industry. Dooars is not only renowned for its surreal beauty but it is also forest for its forest reserves like Gorumara National Park, Jaldapara Wildlife Sanctuary, Chapramari Wildlife Sanctuary, and Buxa Tiger Reserve. These forest reserves are the most famous places for sightseeing in Dooars. A number of rare endangered species of animals like Tiger, Rhinoceros and Elephant make found in these emerald green forests of the Dooars. Other animals include different types of deer, bison, birds and reptiles. Being a favored tourist place in North Bengal for nature lovers and wilderness explorer there are many options for accommodation while traveling in Dooars. Visitors will find numerous private hotels and resorts in Dooars but Government Lodges and Forest Bungalow situated within the dense forest are the most preferred place to stay in Dooars. The average rainfall of in Dooars is about 3,500 mm. Monsoon in Dooars generally starts from the middle of May and continues till the end of September. Summer is mild and winters are cold and foggy in Dooars. Each season has its own charm to relish in Dooars but summer season is considered the best to visit Dooars. 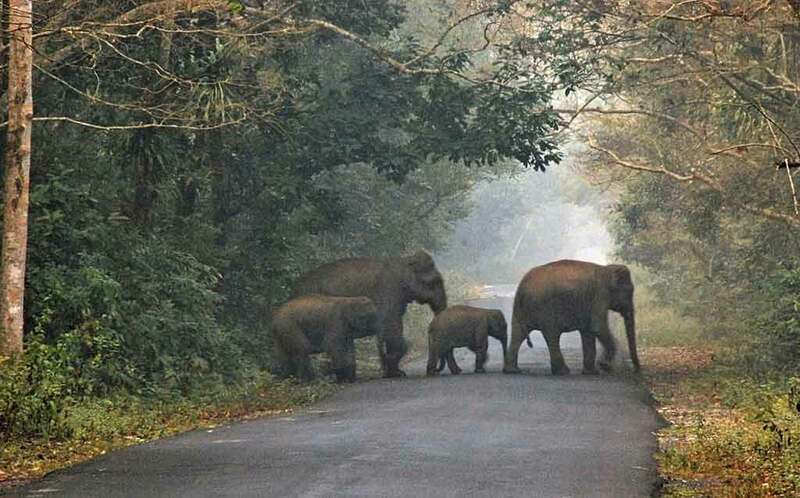 Every year the forest area of Dooars remains close from 15th June to 15th September. The main mode of transport in Dooars is roadways. Most of the places are well-connected by roads. NH31 is the main highway of the area. Located 56km from Siliguri, visitors can easily reach Dooars by hiring a car from Siliguri. For the visitors who are hailing from other regions can board a train for New Jalpaiguri Railway Station (NJP). Since, NJP is the major railway head, connecting Siliguri with other region. It is also the nearest railway station from Dooars. Visitors can also board a flight for Bagdogra to reach Dooars. After reaching NJP or Bagdogra visitors can hire a car to travel towards Dooars.